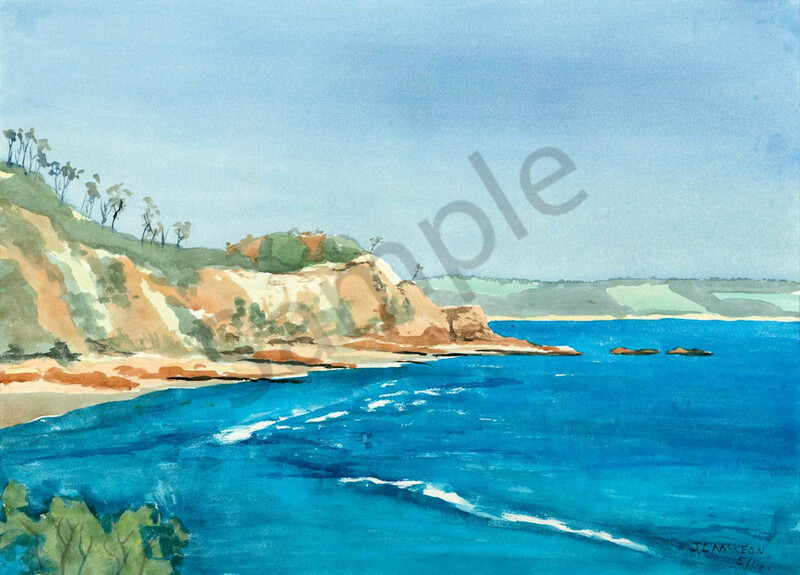 View of a rocky headland at Byron bay, New South Wales. I loved the blue in the water on this day on which we visited Byron Bay. It lights up the light yellow, ochre and sienna colours of the headland and contrasts with the faded, neutral colours in the distant hills. The pale, cool blue in the sky enhances the colours in the headland and contrasts with the strong blue colour in the ocean.